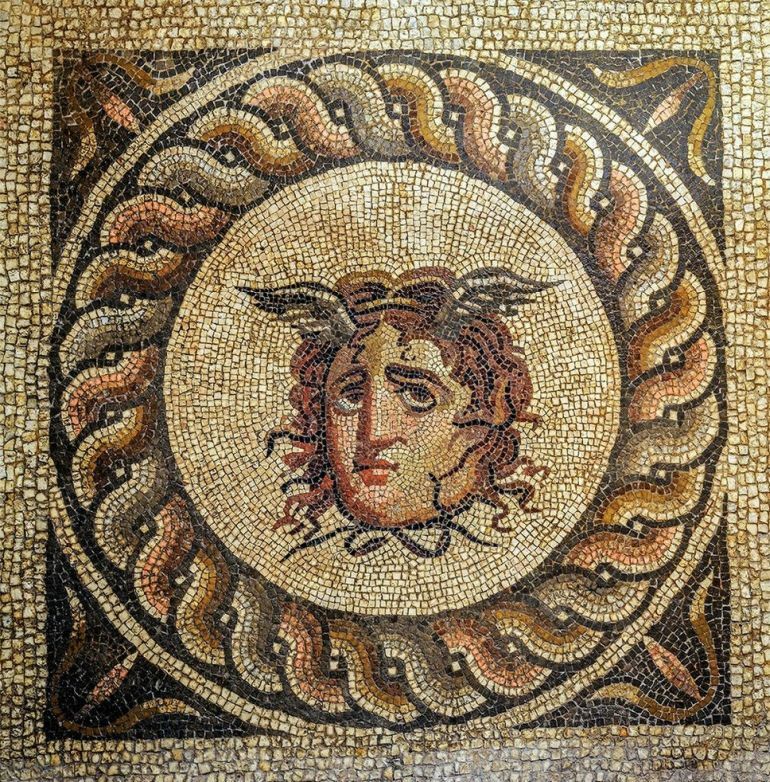 The famous site constituting the ancient Greek city of Perga in what is now Turkey’s Antalya province, has been the focus of numerous excavations and discoveries since 1946. 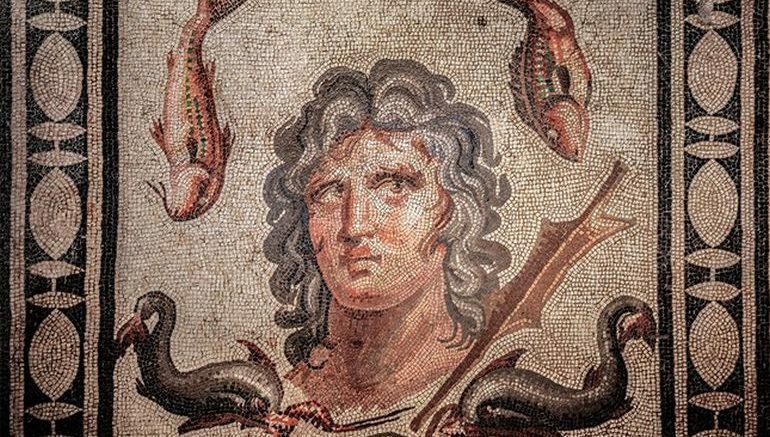 Back in 2003, archaeologists were surprised by the well-preserved nature of the mosaics showcasing Oceanus and Medusa of the Greek mythology. And currently by virtue of the ongoing excavation project, researchers (from Antalya Museum) were once again witness to artistic themes of Greek mythology, this time espoused by 1800-year old mosaic scenes depicting the sacrifice of Iphigenia, the daughter of King Agamemnon. 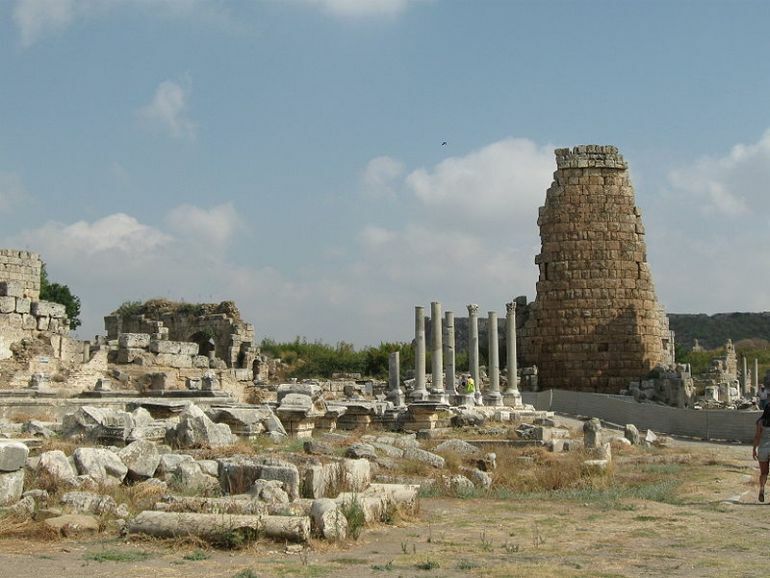 Now from the historical perspective, the settlement of Perga possibly came into prominence as a vassal city of the Hittites, circa 1000 BC. After the eclipse of the Neo-Hittite kingdoms, the city was once again revived by the Pamphylian Greeks, and as such the settlement’s control passed back and forth between the Ionians, Athenians and Persians. 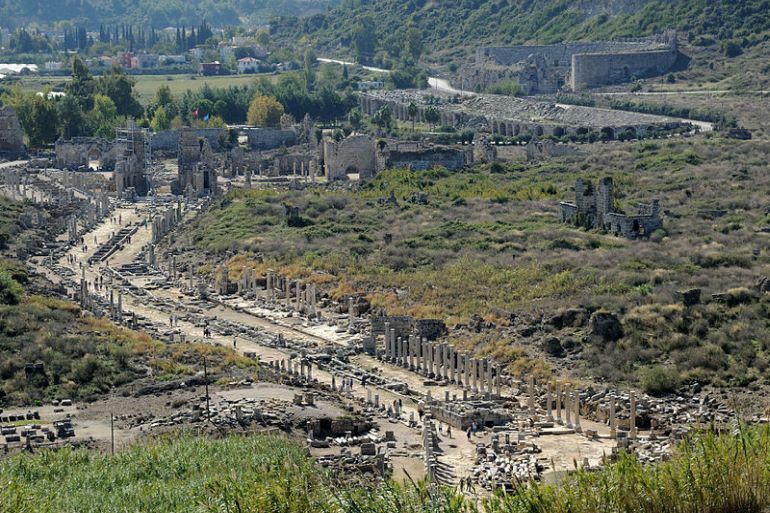 And following the conquests of Alexander the Great, ancient Perga was ruled by his Seleucid successors until the emergence of the Romans (the territory came under their control during the Roman Republic phase, circa 2nd century BC). 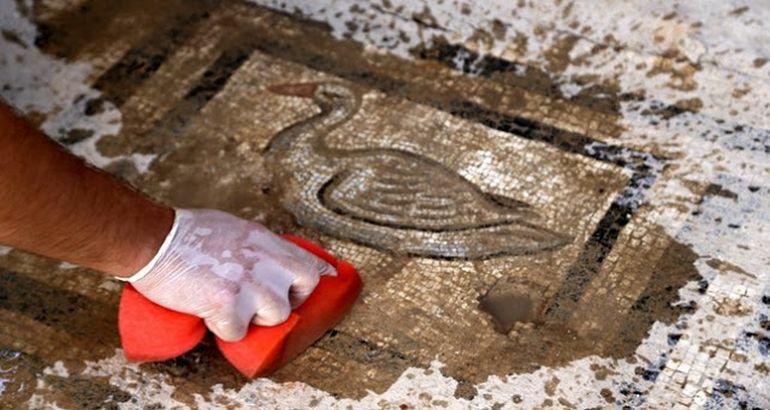 During the ongoing excavations in Perge, a mosaic was discovered which depicts the scene of the sacrifice of Iphigenia during the Trojan War. 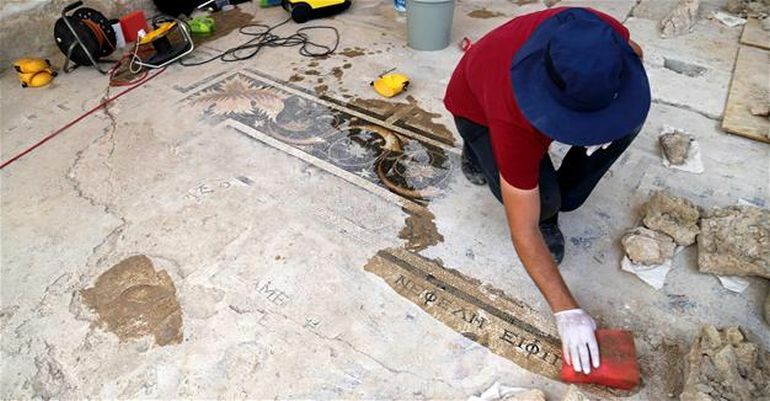 We made the finding while conducting excavations of a shop located on the ancient city’s West Street. We discovered the spot and identified it as a “holy cult area.” After extensive research conducted by laboratory experts, the mosaic was unearthed in the basement of the shop. This is our first discovery of such magnitude, as we have never before discovered a mosaic like this one. It is 1,800 years old. The famous Trojan War began with the abduction of Helen, the wife of the Spartan King Menelaus, by the Trojan King Priam’s son Paris in 1,184 B.C. While a fleet of Menelaus’ pioneering ships and King Agamemnon of Mycenae were preparing to break sail, the winds suddenly stopped. The oracle attributes it to the anger of Artemis and indicates that Agamemnon is likely to have committed an offense by killing an animal, which was consecrated to Artemis. The anger of Artemis could only be lessened with Agamemnon’s sacrifice of his daughter, Iphigenia, for him. Thus, Agamemnon plans to sacrifice Iphigenia so that the wind will blow again. Just as Agamemnon is about the sacrifice his daughter, Artemis sends a deer and the deer is sacrificed instead of the girl. Then, Iphigenia serves as a nun at the Artemis Temple and the winds begins to blow again. The Hellenistic gate of the city. Source: Wikimedia Commons.